Wanna be a movie producer? 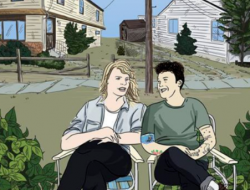 Local queer film needs your support! 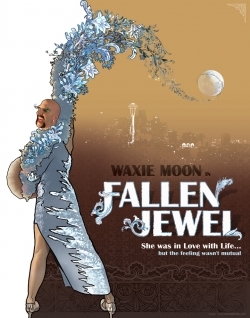 Via Facebook, I learned that the adorably talented local film maker Wes Hurley needs a little help to finish his latest film, Waxie Moon in Fallen Jewel, a narrative follow up to his previous film, the documentary Waxie Moon featuring the iconic local burlesque star, Waxie Moon, aka Marc Kinison. Mr Hurley, who has also provided film for stage productions like WET’s RoboPop! as well as acted in area productions, needs $10,000 to finish the film and begin submitting it to film festivals around the world. If you have just a bit of extra scratch in your pocket, you can become a mini-film producer by making a donation. Wes Hurley’s new film, Waxie Moon in Fallen Jewel has a potentially awesome plot (wacky gender bending musical comedy) and a great cast including local actors/performers, Waxie Moon, Marya Sea Kaminski, Sarah Rudinoff, Nick Garrison, and John Osebold among many others, not to mention production design from Jennifer Zeyl and a brilliant line up of musicians for the soundtrack including Eric Lane Barnes, Gretta Harley, The Little Penguins, Jose Bold, Campfire OK, and Brendan Patrick Hogan. 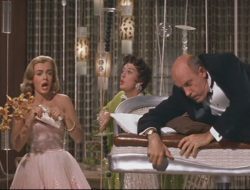 And, the sooner you help them out, the sooner we get to SEE this film! If you can, help these films out, so they can get out of the lab and onto our movie screens.